Unfinished Hardwood Merbau Parquet is the small piece fixed length solid wood flooing without any lacquere or finish on surface,the pure natural hardwood merbau parquet is particularly prefered by the clients from Western Countries.Raw solid wood merbau parquet contains 0% harmful addictive or chemicals,it represents only natural beauty! Merbau hardwood is a famous timber species comes from Southeast Asia Tropical forest,the wood is very stable in extrem humidity & extrem weathering conditions,so even unfinished raw merbau will not have bending or warping probelms when put in house for flooring use.On the other hand ,merbau is termite and fugi resistant wood and very strong for carpentry,furnitures etc. 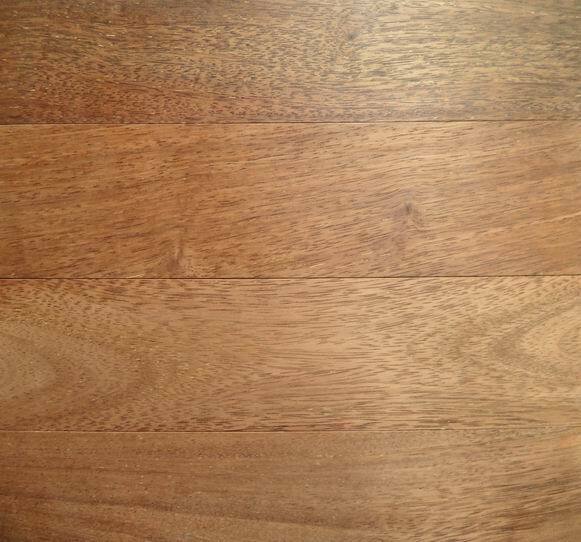 C&L hardwood in China supply both varnished ( lacquered) and unfinished merbau hardwood parquet in 18mm or 15mm thickness.Normally for parquets in 450x90x15/18mm or other custom made size. The hardwood merbau from C&L hardwood is free of white sapwood which is vulnerable to heavy traffic if milled as flooring. C&L hardwood merbau solid parquet has a warranty of 25years structural under proper maintaince.Prefinished merbau parquet will have 7 years surface UV coating wear though warranties.6 times more sanding and refinish on the flooring is garanteed.